Russian actress Maria Ouspenskaya is beloved by generations of horror film fans for her role as the Gypsy woman in The Wolf Man (1941), but for two decades she was one of old Hollywood's most respected character actors. Ouspenskaya was probably born on July 29, 1876, (there are some discrepancies about the year of her birth) in Tula, Russia, to a lawyer and his wife. Ouspenskaya, who had a beautiful soprano voice, originally wanted to be a singer, but her family could not afford the expensive lessons, so she switched to a career on the stage. 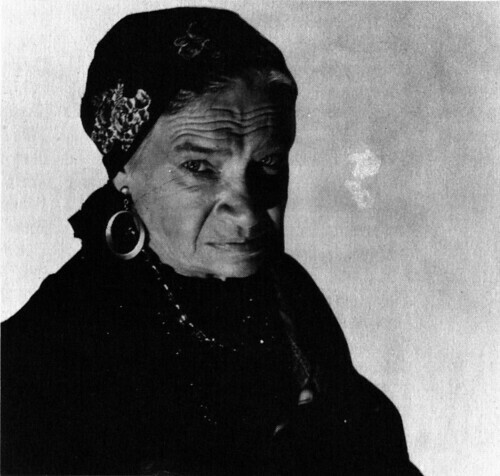 Maria Ouspenskaya as the Gypsy woman, Maleva, in The Wolf Man (1941). Ouspenskaya led a hard life for many years, touring the Russian provinces with several different theatrical companies. Ouspenskaya always looked back on those times with fondness and she liked to say, "You never toured Russia in the old days," when anyone would complain about conditions on the set. In 1911, Ouspenskaya was accepted into the prestigious Moscow Art Theatre, which was co-founded by famed director Constantin Stanislavski. Ouspenskaya defected when the company toured America in 1924. 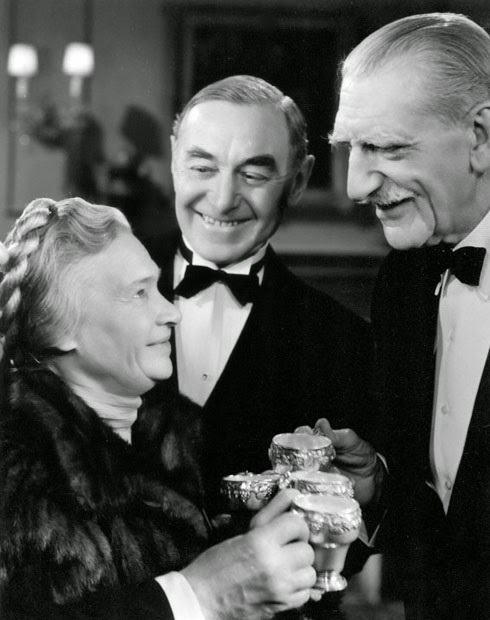 Maria Ouspenskaya, Harry Carey (center), and C. Aubrey Smith in Beyond Tomorrow (1940). Ouspenskaya quickly settled into her new life, appearing in dozens of plays per year on Broadway. Ouspenskaya became a theatrical legend when she performed in the play Outrageous Fortune with lobar pneumonia and a temperature of 104. "I am an artist, and when you love what you do, you find the force and energy to do it through love and will power," she said. 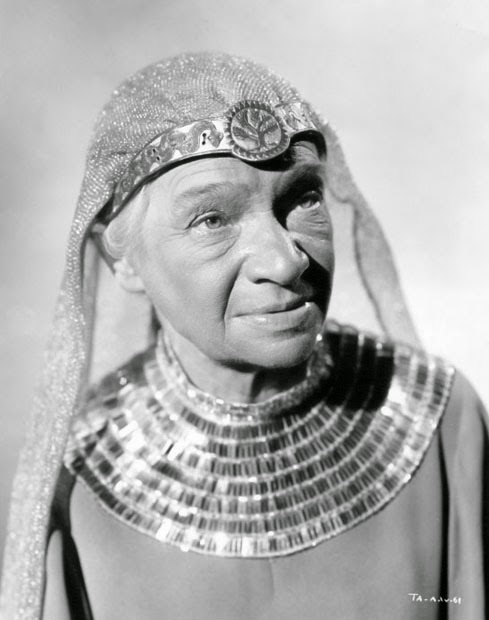 Ouspenskaya also loved teaching: She opened acting and dancing schools in both New York and Hollywood where she shared her passion with young talents like Anne Baxter (All About Eve, The Razor's Edge, The Ten Commandments). Maria Ouspenskaya in Tarzan and the Amazons (1945). In 1936, the movies came calling. Ouspenskaya earned a Best Supporting Actress Oscar nomination for playing the haughty Baroness Von Obersdorf in Dodsworth (she had originated the role on Broadway). 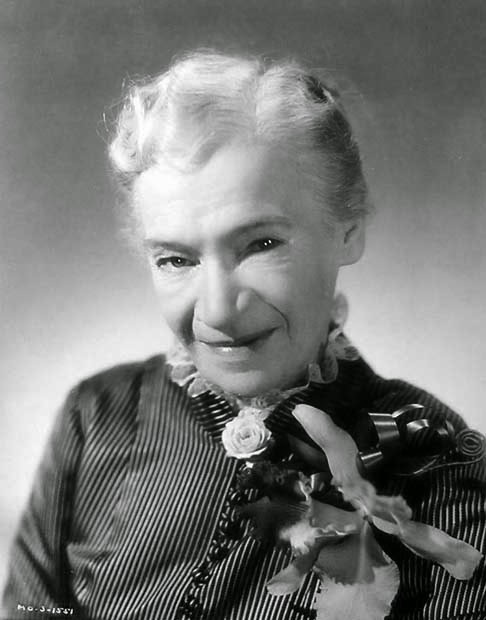 Ouspenskaya soon established herself as one of old Hollywood's leading character actresses ably playing every type of role from villainous ballet instructor (Waterloo Bridge) to doting grandmother (Love Affair, there's more about that film here). "Her accent, luminous eyes, Tartar features, and finished performances often were far more impressive than more widely advertised portrayals by more beautiful film stars," The New York Times said in Ouspenskaya's obituary. H.B. 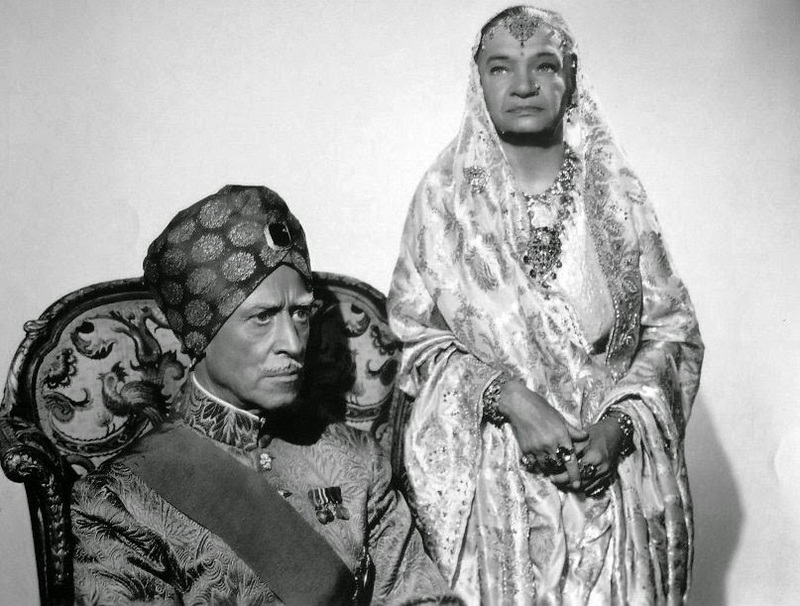 Warner and Maria Ouspenskaya playing the Maharajah and the Maharani in The Rains Came (1939). Ouspenskaya's most memorable role came in 1941, when she played the the Gypsy woman, Maleva, in the Universal Horror classic, The Wolf Man. Ouspenskaya earned a place in screen immortality by uttering these words over Lon Chaney Jr., "The way you walked was thorny, though no fault of your own, but as the rain enters the soul, the rivers enter the sea, so tears run to a predestined end. Now you will have peace for eternity." Ouspenskaya made several more films, including reprising her role as Maleva in Frankenstein Meets the Wolf Man (1943), but she eventually retired to the Motion Picture Country Home in Hollywood. She died on Dec. 3, 1949, several days after suffering severe burns after she fell asleep while smoking in bed. Ouspenskaya is buried in the Forest Lawn Memorial Park in Glendale, Calif.